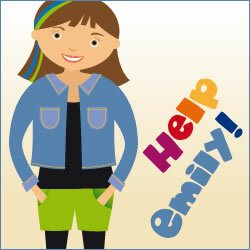 You can help us with promoting free "Help Emily" game by very simple and no cost way. Use any of these banners and put them on your web pages. Make a link to game.schoolcanbefun.org. I know, thanks to Google Analytics, which web page leads the highest traffic at my site. The manager of the web page with our banners that lead the highest traffic into the game.schoolcanbefun.org in last month will get some valuable reward from the "School Can Be Fun" project or our partners! To be eligible for this reward you have to write me an e-mail, that you post the banner at your site.